Baseball player Barry Bonds’ problems with perjury and illegal performance enhancing drugs have been well documented, but what is not nearly so well know is his contribution to the law regarding prenuptial agreements, particularly in California. In 1988, Barry Bonds married Susann “Sun” Margreth Blanco, a native of Sweden, in Las Vegas. The two had met the previous summer in Montreal while Bonds was playing for the Pittsburgh Pirates and Sun was working as a bartender. The day before they were married, each signed a prenuptial agreement by which each waived any interest in the earnings of the other during marriage. The agreement was prepared by Bonds’ lawyers, and Sun was not represented by counsel. She was also unemployed at the time the agreement was signed. In 1994, after six years of marriage and two children, Bonds petitioned for a legal separation, and his wife subsequently requested a dissolution of the marriage on grounds of physical abuse and infidelity (presumably involving Bonds infamous girlfriend, Kimberly Bell). She also decided to contest the validity of the prenuptial agreement she had signed six years earlier. During the trial concerning the validity of the agreement, Bonds testified that he told his wife-to-be that he would not marry her unless she agreed to waive any right to his income during their marriage. He also insisted that his wife understood perfectly well what he was proposing. In contrast, Sun testified that in 1987 and 1988, her English was poor and that she often did not understand what Bonds was talking about. She also claimed that she did not learn about the agreement until shortly before she was asked to sign it. The trial judge found Bonds’ testimony more credible and ruled that the agreement was valid. On appeal, the intermediate appellate court ruled by a split decision that Sun’s lack of legal assistance and the imminence of the wedding made her consent highly questionable, and remanded the case to the trial court with the direction that it needed to give much greater weight to such factors. The majority made it clear that Bonds had to overcome a strong presumption of invalidity due to the circumstances of this case. In re Marriage of Bonds, 71 Cal. App. 4th 290, reh. den., 72 Cal. App. 4th 94d (1999). Bonds appealed this decision to the Supreme Court of California, which on July 21, 1999, agreed to hear the case. The following year, in the case styled, In re Marriage of Bonds, 5 P.3d 815 (Cal. 2000), the state’s highest court ruled unanimously that the evidence at trial was sufficient to establish a voluntary waiver on the part of Blanco (or Sun Bonds, as she preferred to be called). Contrary to the holding of the appellate court, the Supreme Court found that the lack of independent counsel was not dispositive, given the lack of evidence of coercion and no real proof of a lack of understanding on the part of the plaintiff. Consequently, it reinstated the judgment of the trial court. The decision was handed down on August 21, 2000, a day on which Bonds’ Giants defeated the Florida Marlins 6-0 in San Francisco. Bonds was in the line-up that day and went one-for-three with a walk and a run scored. Sun petitioned for a rehearing, but on October 18, after the division champion Giants were eliminated in the National League playoffs by the New York Mets, the State Supreme Court denied this request. By the date of the final decision, Bonds had arranged to have his marriage to Sun annulled by the Catholic Church and had remarried. And, at least according to the book Game of Shadows, he had also just finished the second season in which he used anabolic steroids. From a national perspective, the California Supreme Court’s Bonds decision was just one of several decisions handed down at the end of the twentieth century that appeared to represent a growing acceptance of the legitimacy of prenuptial agreements, which had historically been looked upon with disfavor. However, not everyone viewed this as a positive development. Bonds’ “pre-nup” case was followed with great interest in California, and public sentiment was clearly on the side of his ex-wife. 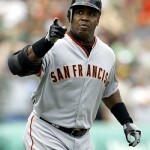 (Bonds’ growing reputation for moodiness and surliness in his dealing with the baseball public hardly helped here.) In the next session of the California legislature, State Sen. Sheila Kuehl (D-Santa Monica and in another life, the actress who played the zany Zelda Gilroy on the 1960’s sitcom, The Many Loves of Dobie Gillis) introduced a bill that provided that for prenuptial agreements to be valid, both parties to the agreement had to be represented by their own lawyers. Kuehl’s act also required that parties to such an agreement be given at least seven days to consider the proposal and that the agreement be explained to the partner in his or her native language (which in Sun’s case would have been Swedish). Kuehl made no effort to deny that her bill was inspired by the outcome of the Bonds case, and in fact cited it repeatedly to garner support for the proposed act. The bill easily passed both houses of the California legislature and was signed into law on September 12, 2001, by Gov. Gray Davis. In its story reporting the passage of the bill the following day, the Los Angeles Times described it “as legislation sparked by the bitter 1994 divorce of baseball slugger Barry Bonds and the growing popularity of such accords.” The statute is currently codified at Cal. Fam. Code §1615 (2009). Although the legislative change came too late to help Sun Bonds, the ex-wife did receive some vindication on October 9, 2001, when a California appellate court in San Francisco ruled that the pre-nuptial agreement notwithstanding, Sun was still entitled to half the value of the two homes and an undeveloped lot that Bonds had purchased during their marriage. According to the San Francisco Chronicle, her interest in the three parcels was at least $1.5 million. After this decision, Bonds reportedly settled with his ex-wife for an amount in excess of the Chronicle’s estimate in exchange for her promise to stop suing him. Let me just note that had this case been held in Pennsylvania, public opinion would have already been solidly against Bonds as his reputation for surliness and moodiness–let alone his complete inability to perform in post-season play–was well known as a Pirate. Thank God that court cases are settled on the facts, and not the preceived success of one of the litigants. The writer above would have given a free pass to Willie Stargell and Steve Garvey for their litigation that, with the fathering of two children during the same time frame, was a situation most certainly more frought with damage to all parties concerned. We reserve the right not to publish comments based on such concerns as redundancy, incivility, untimeliness, poor writing, etc. All comments must include the first and last name of the author in the NAME field and a valid e-mail address. Previous Previous post: Mayoral Control: Second Thoughts? Third Thoughts?